Winning a Multiple Offer – Waive Appraisal, Win Like a Pro! Seattle has become a world-class city, and now all the cool kids wanna live here. The record low inventory has made for an extremely competitive market. The smart buyer has a plan to address a low appraisal to submit with their offer to become a winning buyer. 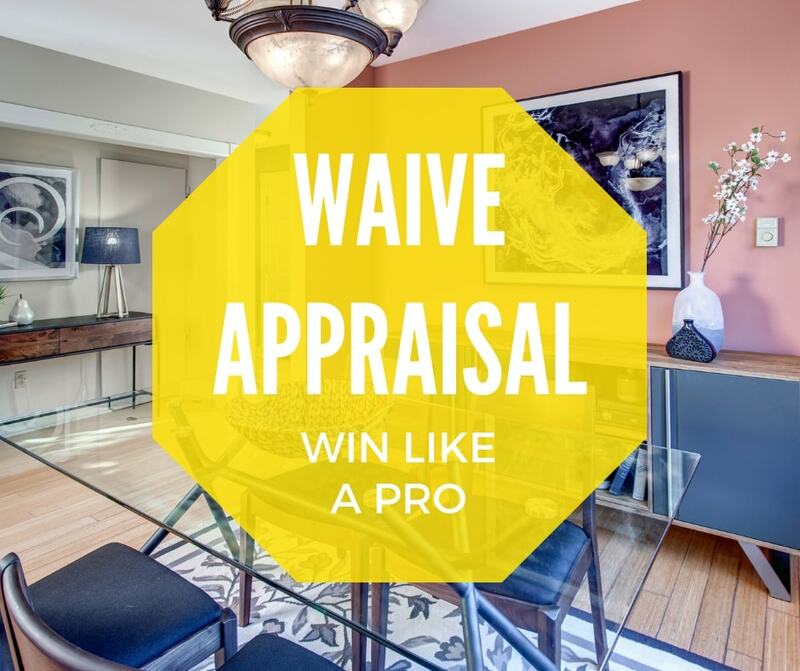 Waive Appraisal, Win Like a Pro! In this scenario, if the house doesn’t appraise, the buyer is responsible for making up the difference between the appraised value and the purchase price. Let’s say you win your home in a competitive multiple offer situation at a purchase price of $500,000. The appraiser inspects the home and values it at $450,000. There is now a $50,000 shortfall that the bank will not finance. You would be responsible for coming up with an additional $50,000 to bring to the table at closing. If you could not come up with the additional cash at closing you would forfeit your earnest money. In addition to monetary shortfalls, the appraiser could make work order call outs. If there is a bad furnace or leaky roof, the appraiser may require that it be repaired or replaced. The appraiser will not sign off on the report until those concerns are properly addressed. Because you have waived your appraisal contingency, YOU and not the seller would be responsible for replacement or repairs needed to satisfy the report. By waiving this contingency, you are assuring that you won’t let any appraisal issues prevent you from reaching the closing table. Whether it’s bringing more cash or replacing and/or repairing items, YOU are going to take care of it, or you forfeit your earnest money. *Pro Tip ~ Underwriting is ALWAYS going to require a Carbon Monoxide detector on every sleeping floor and earthquake straps on water heaters. Address those items before the appraiser inspects the house. Let’s face it: Not many people have unlimited cash reserves to waive their entire appraisal contingency. You can still put your best foot forward, though, even with limited cash options. If you have any extra cash available to offer up for a low appraisal, that good faith gesture could go a long way with the seller. For people in this position, one strategy is to write a clause into your contract stating that you will contribute a specified amount toward a low appraisal. This can be any amount, from $1000 to $100,000 or more. For example, A buyer has agreed to contribute up to $15,000 toward a low appraisal. The purchase price of the house is $500,000 but sadly it appraises at $485,000. There is now a $15,000 shortfall between the purchase price and appraised value. The buyer would now be required to bring an extra $15,000 to closing to make up the shortfall. If the buyer does not come up with the $15,000 they Forfeit Their Earnest Money. On the other hand, in this scenario, if the same $500,000 home appraised at $450,000 the buyer would not be required to bring more than $15,000. If the seller insisted the buyer come up with the $50,000 shortfall; the buyer would be able to leave the transaction and retain their earnest money. *Pro Tip ~ Limited Appraisal contribution would also apply to work orders (roof, furnace, sewer, etc) the appraiser may require on the home. In the example given, if the appraiser required work to be done, the buyer would only be on the hook for COMBINED work orders and low appraisal funds up to $15,000. This next scenario is a bit more tricky but comes in handy when you don’t have extra cash but have the ability to reduce your down payment. It works with a minimum of 10% down payment however, 20% or more works best. Let’s again use our $500,000 home as an example. At 20% your down payment is going to be $100,000. You can use part of your down payment to make up the shortfall. Instead of putting down 20% ($100,000) you could instead put down $15% ($75,000). Then use the $25,000 as your on-hand cash and apply it toward a low appraisal. If the house appraises, then you don’t need the cash for appraisal and can apply it toward your down payment. Be aware of some of the drawbacks. You may have to pay mortgage insurance due to a lower down payment. This could mean a higher monthly payment along with a higher interest rate. It’s important to speak with your lender and get cost sheets to know exactly how this will affect your loan. It’s always best to ask questions until you are fully comfortable and confident waiving any contingency. 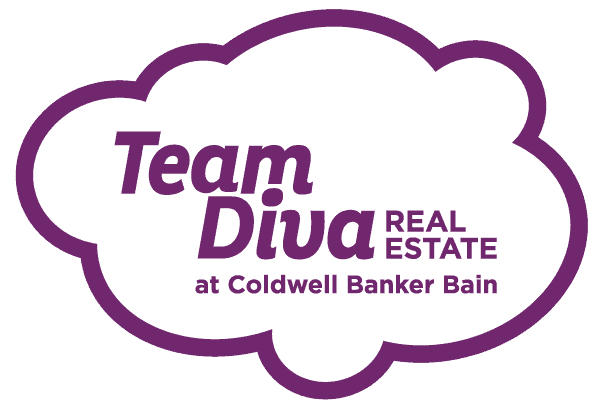 No matter how you decide to handle the appraisal contingency, Team Diva is here to help. Don’t be afraid to contact your lender, financial advisor, or even an attorney to make sure you are making the right decision.